"Liquid gold". 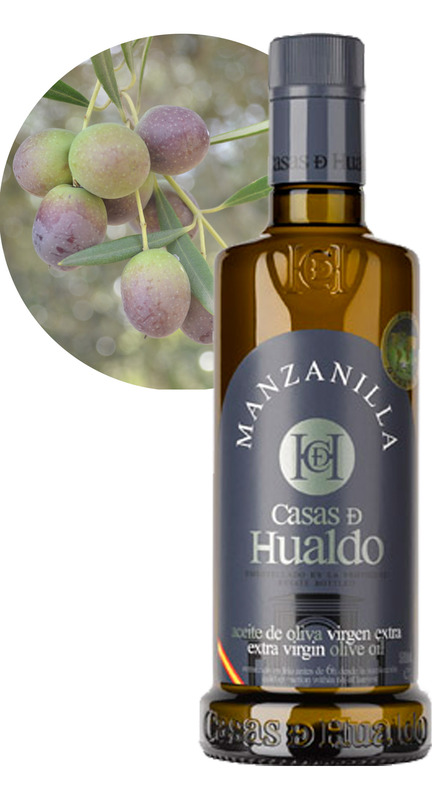 This is how we know the Extra virgin olive oil, one of the most emblematic food of our gastronomy. Nevertheless, and despite the importance we give to this precious spice, yet we find it difficult to distinguish the different varieties that exist. We know their existence, We are familiar names, but we hesitate when we have to describe its taste or indicate which one is softer and what, Conversely, It is stronger and more bitter. 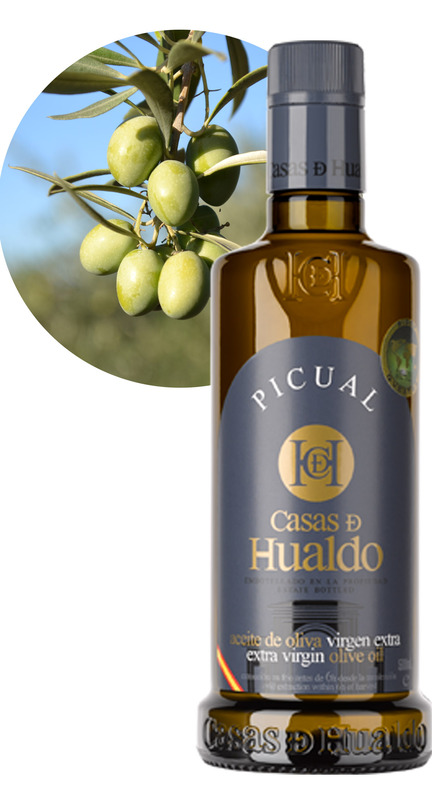 It is very easy to get lost among so many varieties of olives, but thanks to Hualdo houses you can easily taste the four main Extra virgin olive oil our territory. Do you dare to discover which is more suited to you? Hualdo houses makes available four very popular olive oils and their names will be sure that you all family: picual, arbequina, cornicabra y manzanilla. In order to differentiate more easily we show you a simple guide to differentiate and choose the one that best suits your tastes. So you will get the most of your dishes. The main feature of Oil arbequina It is how soft it is. It is a sweet and very aromatic oil. Aromas and grass field, and fruity such as apple and banana. Barely noticeable subtle bitter and spicy nuances. On the plate, this oil provides a smooth flavor with nuances and aromas balanced, that practically goes with everything. That is why its use in the kitchen is widespread compared to olive oils that have more body and have a much stronger flavor. Arbequina oil is perfect for kids (for example, use in preparing their papillas) and for those who are not used to consuming olive oil but want to start. It is also ideal for making mayonnaise, vinaigrettes and other soft sauces, because this oil will be integrated seamlessly without altering the final taste of the sauce. We can even use it in baking as well as a much healthier than butter substitute. Raw looks good on toast with tomatoes or in salads, especially if they have some fruit as an ingredient. Do you want to get started in oil tasting? Arbequina oil is perfect for you. We encourage you to incorporate into breakfast toast, You can enjoy a great extra virgin olive oil without being very strong to your taste. In contrast to the mild flavor of the Arbequina we have the picual. This oil just has a fruity aroma, If no closer to aromatic plants and one tomato plant. His spicy nuances and bitter aftertaste make it an oil of great strength, body and personality, ideal to align our salads. In its intense flavor we can find wood notes, banana and fresh cut grass. It also highlights its flavor and aroma of tomato. We are at the variety of olive oil more heat resistant, so it is ideal for frying, breaded and battered. Also, It combines perfectly with smoked fish, and of course cheese on toast. You are looking for oil intense flavor? The olive oil Picual is for you. It's great for the most experienced palates and lovers of strong flavors and intense. 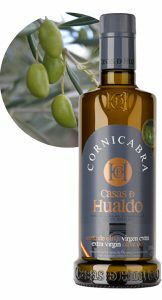 As the Picual, Cornicabra olive oil is also an oil aroma and flavor, slightly spicy and progressive bittering. Its aroma is very fruity, highlighting for example apple. It has a very fresh taste in the sweet and bitter are balanced in perfect harmony. 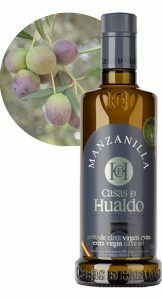 Thus, this is a very interesting oil to create contrasts in the kitchen, and recommended frying, salads and toasts. Its fresh green flavor and helps enhance the flavor of our dishes and increasingly also recommended for baking dishes. You like to experiment in the kitchen? 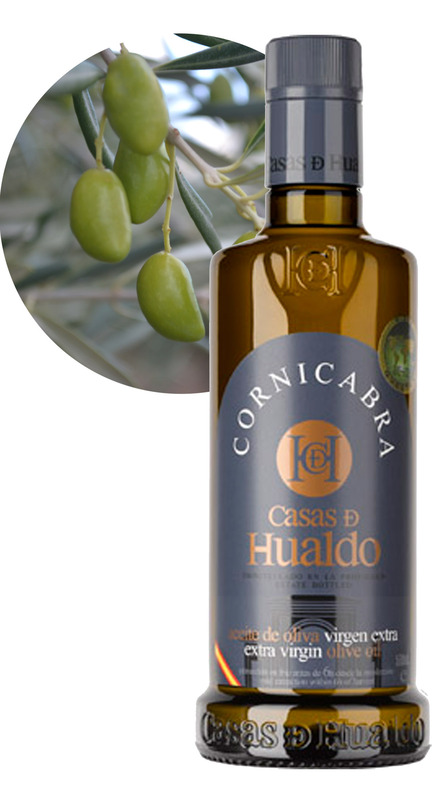 You find olive oil Cornicabra the ideal ally for your most daring dishes. The olive oil Camomile It is more balanced and finer than the picual and cornicabra. Su just es nonexistent bitterness, and presents aromas of basil and fruits. 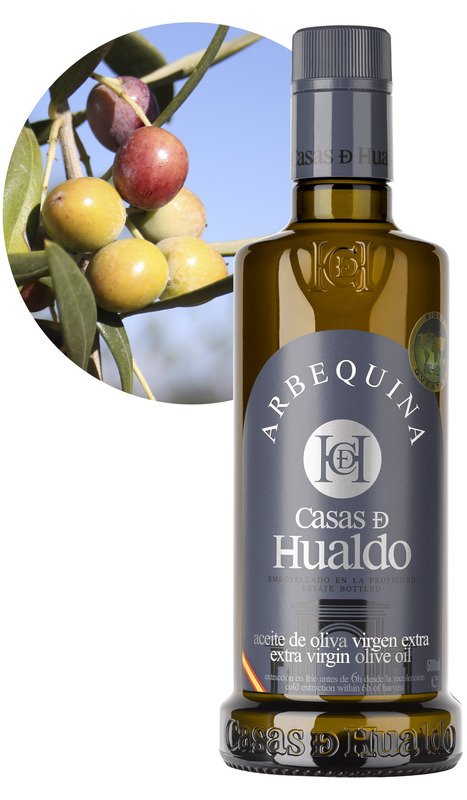 Despite being softer than the previous two oils, It offers greater persistence in the mouth such as Arbequina oil, leaving an intense flavor on the palate. We can use this oil in fried foods and recipes of fish with body, such as they are salmon and cod. It also will help us to round off the final taste of a cream or mashed. Also, it blends perfectly with all kinds of grilled vegetables and grilled fish. Now that you know the main features of each insurance oil it will be much easier to differentiate between them. Just need to put into practice the knowledge acquired with good bread and toast, why not, a tasty dish Iberian ham. Come to our Store in Barcelonto advise you on your personal taste or you can also discover the amazing, and sometimes unknown, World oil in our online store.